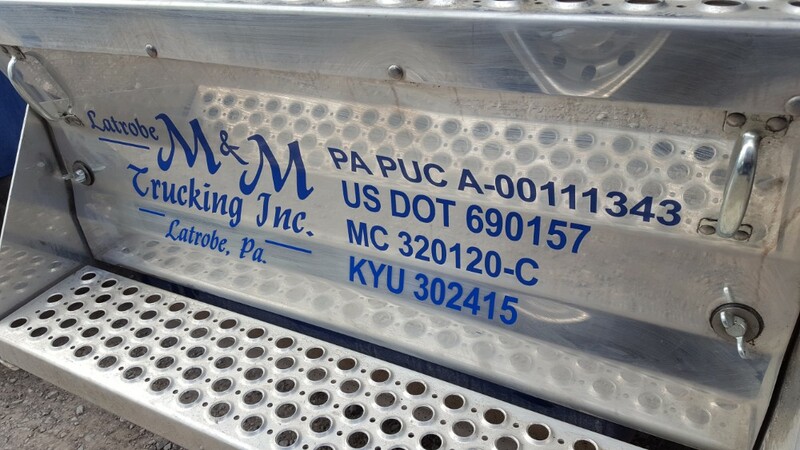 About Us – Latrobe M & M Trucking, Inc.
Latrobe M & M Trucking, Inc. is a full service, privately owned, asset based transportation provider specializing in truckload and LTL (less than truckload) shipments since 1993. Over the past two and a half decades we have built our business and expanded our fleet. With our fleet of trucks, we have the capability of moving one or many loads of freight concentrating in steel, concrete precast forms, lumber, mulch and other types of goods in construction and manufacturing industries. Our success is credited to hard work, great team members and most importantly, customer satisfaction. Details are in the delivery. Latrobe M & M Trucking can handle over-dimensional movements requiring special trailers, permitting, and escorts. Your shipment is our priority and we communicate the details of your shipment every step of the way. Safety, efficiency and communication are many of the key elements that have helped us earn and maintain a great reputation with our customers. The result to our customers is an efficient and cost-effective project completed within budgetary and time frame constraints. Building products, consumer goods and manufacturing sectors are the industries most served by Latrobe M & M Trucking. We transport shipments that require flatbed, step deck drop deck trailers. Our well maintained equipment comes complete with an on-board communications system.